Every now and then we all need a pamper, an hour or two of pure relaxation and indulgence, and what better way to do that then a soak in the bath using a luxury product to really relax your mind and care for and protect your skin. 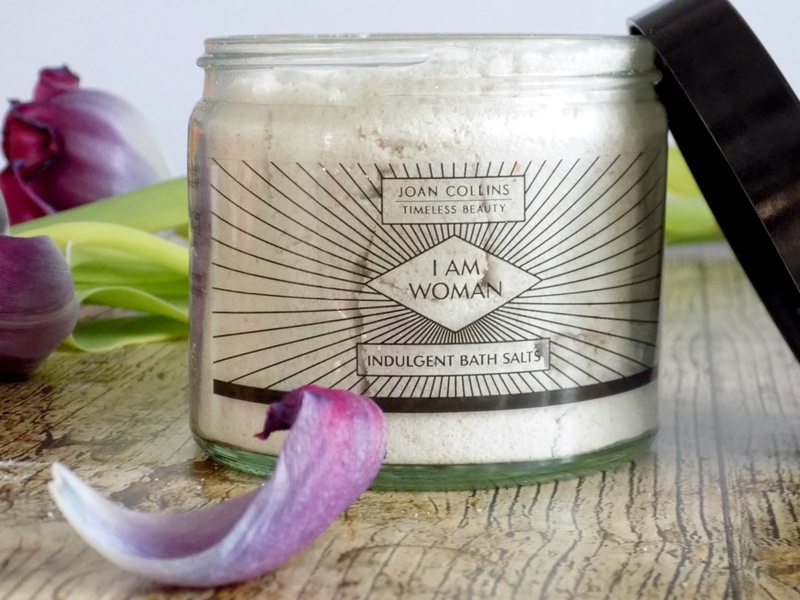 That's exactly what this product is perfect for, as you may know I have recently started a new job after being out of work for 3 months, and boy has this took it out of me, so I was so looking forward to trying I AM WOMAN* indulgent bath salts from Joan Collins beauty, cause If any woman knows about luxury and decadence its Joan Collins. Indulge your skin and your senses in a beautifully fragranced, I AM WOMAN mineral bath enriched with nourishing Rice Bran, Grapeseed & Rosehip Seed oils which are packed with anti-oxidants and moisturisers to care for and protect the skin. A beautifully fragranced, therapeutic, detoxifying combination of naturally pure Pink Himalayan & Jordanian Dead Sea Salts containing more than 80 body beneficial minerals. These minerals help to promote circulation and aid the body's detoxification process whilst caring for and nourishing the skin to maintain a healthy appearance. 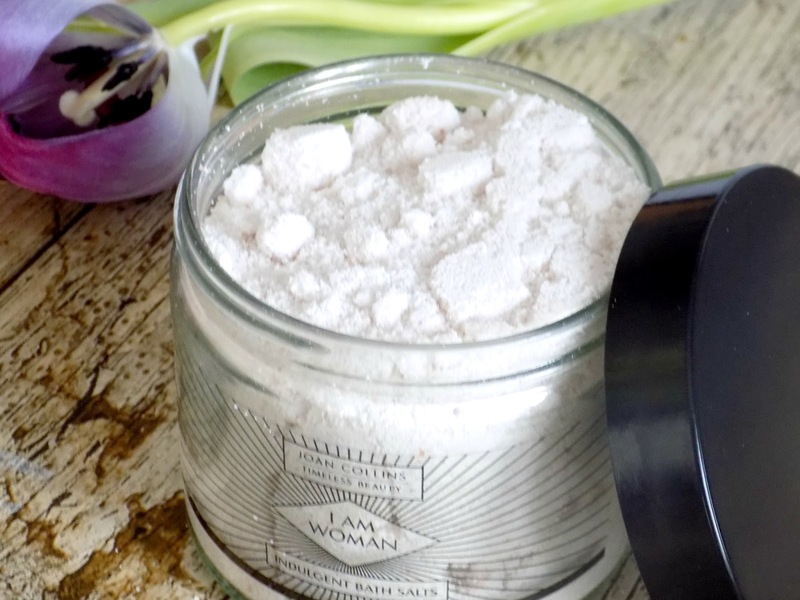 I am Woman* smells divine really subtle, not old ladyish like some bath salts can and boy does it leave your skin feeling amazing, I totally recommend giving it a whirl as a treat to yourself or maybe as a gift for your Mum on mother's day. How do you relax and pamper yourself? I would love to know. 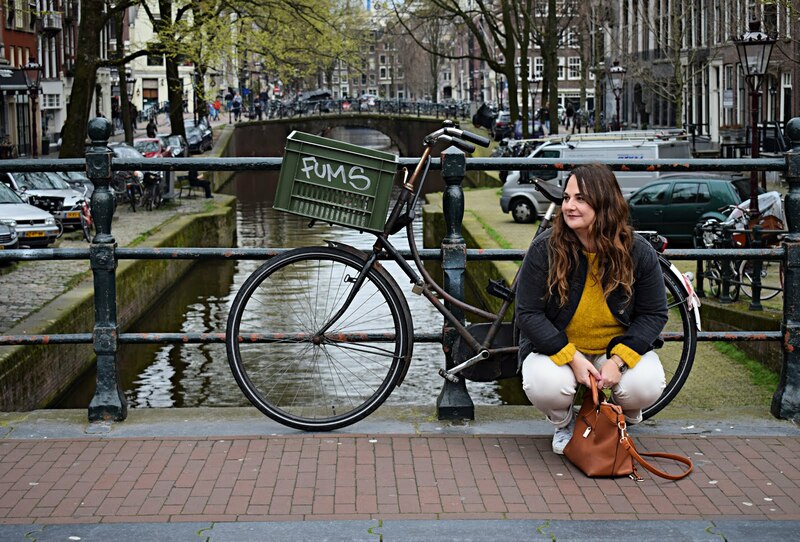 Please give me a little follow on Bloglovin.